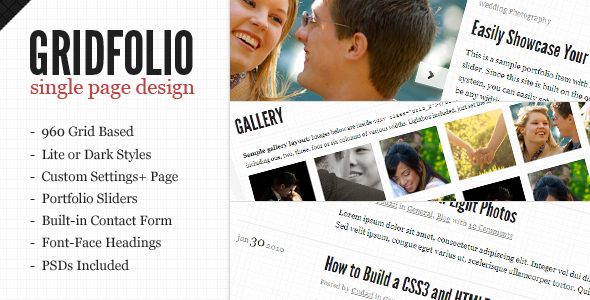 GridFolio is a clean, minimal, single page grid-based WordPress theme. Perfect for a porfolio site but can be used for any number of purposes. The site can be set up thousands of different ways, whatever you can dream up! Demo XML Import Included – Sample backgrounds, images, alternate layouts and more! 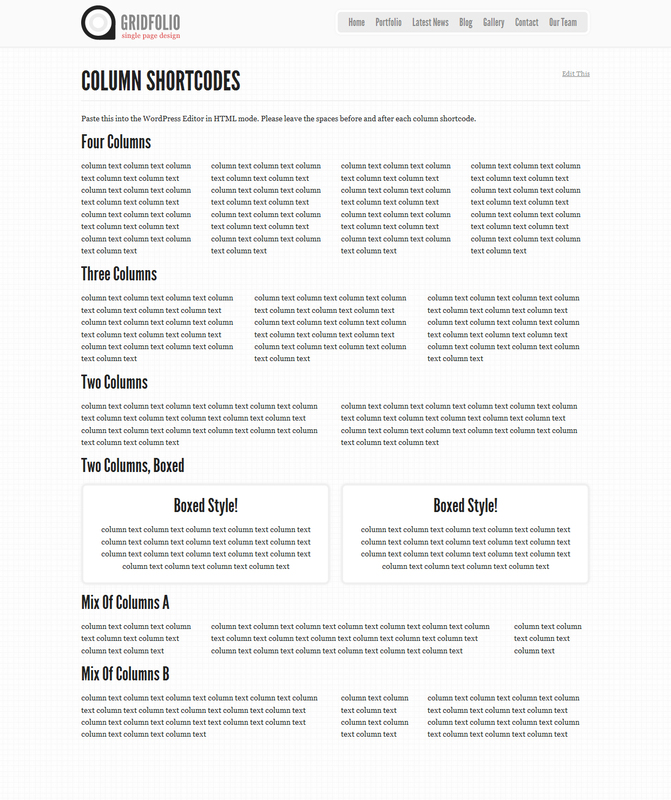 Add Additional CSS witout modifying theme files!